The vision and concept behind the Marrakesh Mining Convention (MMC) is to create a global platform by bringing together the mining ministries, geological research authorities and surveys, international mining and quarrying companies, service and technology providers, mining think tanks and the consulting organisations under one roof to discuss and explore opportunities on an international scale.The inaugural event expects representation from all continents and key mining countries of the world. We expect you to create opportunities and meet stakeholders from diverse geographical regions, by attending the inaugral event being held in April 2019. 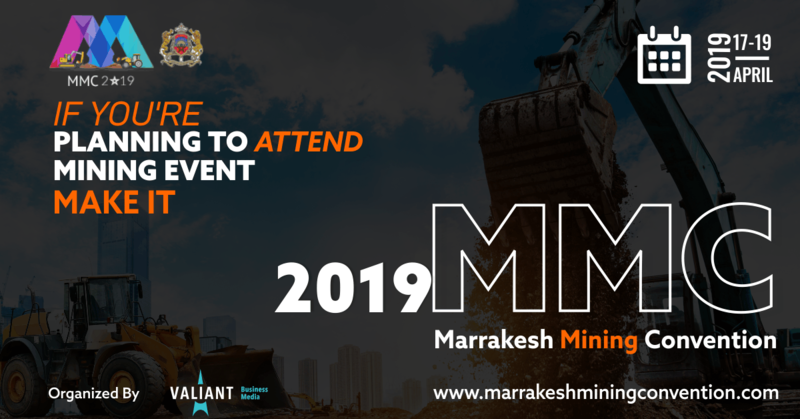 If you are planning to attend one mining event in 2019, make it The Marrakesh Mining Convention.